Proline Motorsports & Marine Inc. This unit has a 2.25" track!!!! 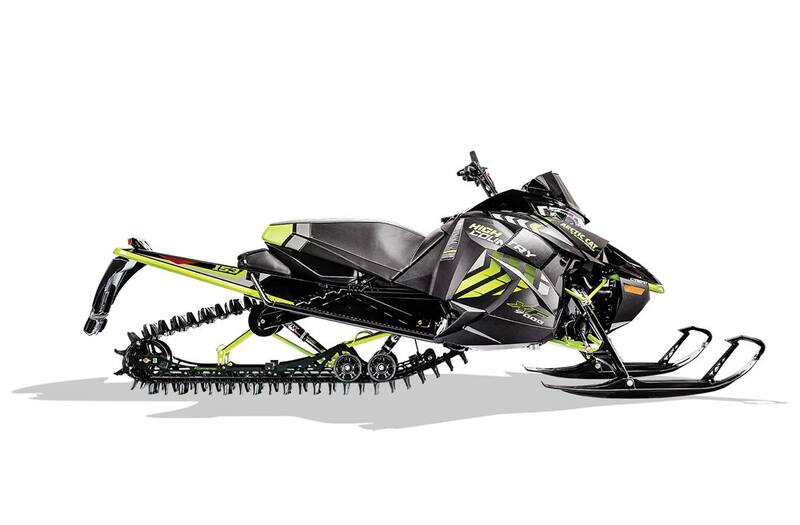 Are you searching for a new Arctic Cat sled? Look no further! We have a great selection of 2017's at Proline Motorsports & Marine that are priced to go! Thinking of financing? With the Proline Finance Advantage Program, our finance brokers can build you a customized program that best fits your needs. Make sure you are ready to get out and make tracks aboard your new Arctic Cat next winter. Contact one of our Product Advisors for details. *Notes: Add $595, GST, and PST to the sale price of the unit for the “Drive Away” total "cash" price. 9000 Engine: This 180-class HP Turbo Triple 4-stroke engine packs seamless power delivery in order to give you better handling, more ride control and immediate throttle response. Response like this can only come from an innovative compact exhaust manifold that transfers energy with unprecedented efficiency and immediacy. The power-to-weight ratio is untouchable. 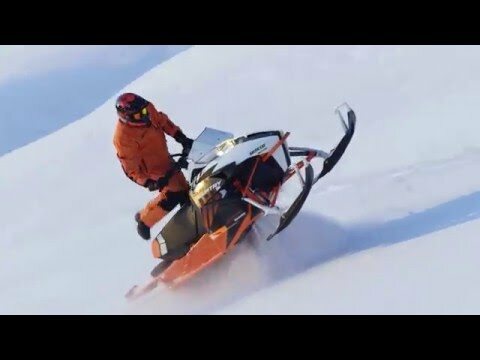 No other mass-produced snowmobile engine can match this beast’s output. Arctic Mountain Front Suspension with FOX FLOAT 3 EVOL Shocks: The Arctic Mountain front suspension packs the essentials. The ProClimb-7 mountain ski is 7" at the tip, tapering to 6.5" at the center to enhance your carving. Single-post, angled-out spindles help you shed some sled weight while maximizing quality and strength. The premium FOX FLOAT® 3 EVOL shocks offer lightweight design, simplified adjustment and premium bump control features of the FLOAT 3, but with improved resistance to bottoming and reduced cornering “roll” thanks to the added EVOL air chamber. FLOAT-ACTION Rear Suspension with FOX FLOAT 3 EVOL Front and FOX FLOAT 3 EVOL R Rear Shocks: The FLOAT-ACTION Rear Suspension features revised rails that shed 1.25 pounds, giving optimal suspension travel and a better ride quality in all conditions. The FLOAT-ACTION suspension incorporates mountain-specific geometry, delivering consistent track tension. The FOX FLOAT® 3 EVOL ski and front track shocks, plus the FOX FLOAT 3 EVOL R rear track shocks, are engineered as a lightweight design, with the simplified adjustment and premium bump control features of the FLOAT 3 shocks, but with the improved resistance to bottoming and reduced cornering “roll” that comes with the added EVOL air chamber. Backcountry X Track: Developed and proven in snocross competition. This 15" x 153" x 1.75" Backcountry X track features a 3" pitch and provides an excellent blend of traction in loose snow while delivering great floatation and trail riding traction. Power Claw Track: The one that sets the standard for deep snow performance. This 15" x 141" x 2.25" track features stagger-set, curved-forward paddle towers that won’t fold over or take a set, plus Attack 20 paddles for superior deep snow floatation. Rear Bag: For your smaller items, it’s just the right amount of space in an easy-to-get-to place.